Soon, SAIT graduates won't just be walking across the stage to shake the dean's hand and receive a paper diploma — they'll also get their credentials on a secure blockchain key. The Calgary-based technical post-secondary institute is the first in Canada, and one of just around a dozen schools globally (including MIT and Stanford), to issue blockchain-secured credentials. "There are more and more cases of fraudulent transcripts that post-secondaries are having to deal with," said SAIT registrar Neera Arora. "It's going to be totally secure just for their access." Daniel Duffy, SAIT's chief information officer, said most people are likely familiar with the blockchain through its use in cryptocurrency. "Blockchain is a technology that functions as a public, distributed and unchangeable ledger," said Duffy, explaining that it gives students ownership of their personal data by making it encrypted, so only they can access it. 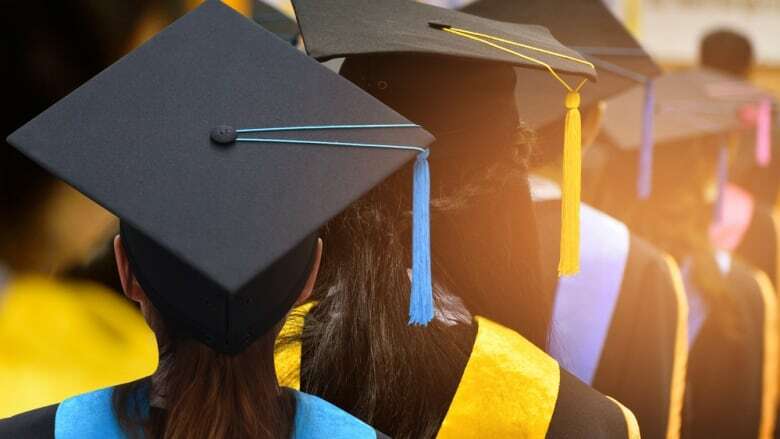 He added it also provides benefits for employers who will no longer have to reach out to the school for transcripts, as graduates will be able to send their certificate to employers or other institutions instantly and without paying any fees. Institutions will also instantly be able to verify if their credentials are legitimate. "It'll also be easy for graduates to have the credentials with them wherever they are. In the past they had to request the organization order a transcript and our unit here would be processing the transcripts and mailing it to them," Arora said. The certificates will be issued via a partnership with the On-Demand Education Marketplace, which is built on the Ethereum blockchain — an open source smart computing platform. The certificates will generate an encrypted, tamper-proof digital signature that can be cross-referenced with the institution's digital signature in real-time. The first to receive the new certificates this month will be 25 students graduating from the Pre-Employment Automotive Service Technician program.